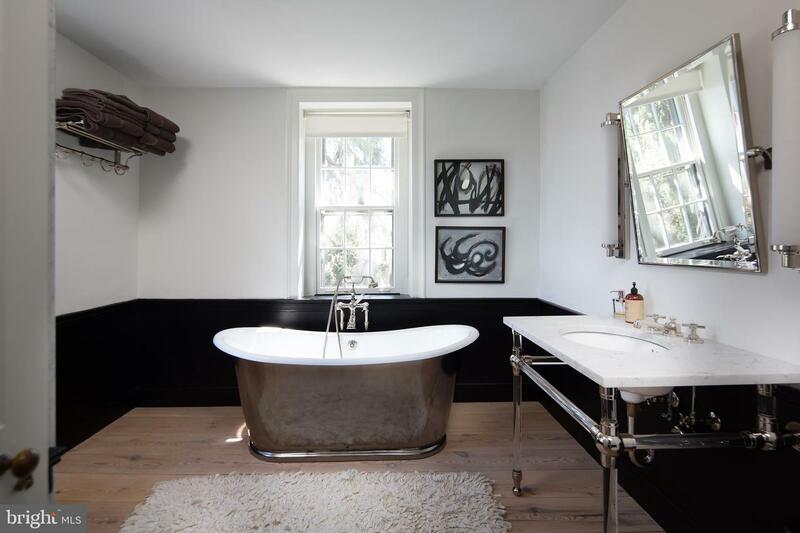 Simply, Exceptional. 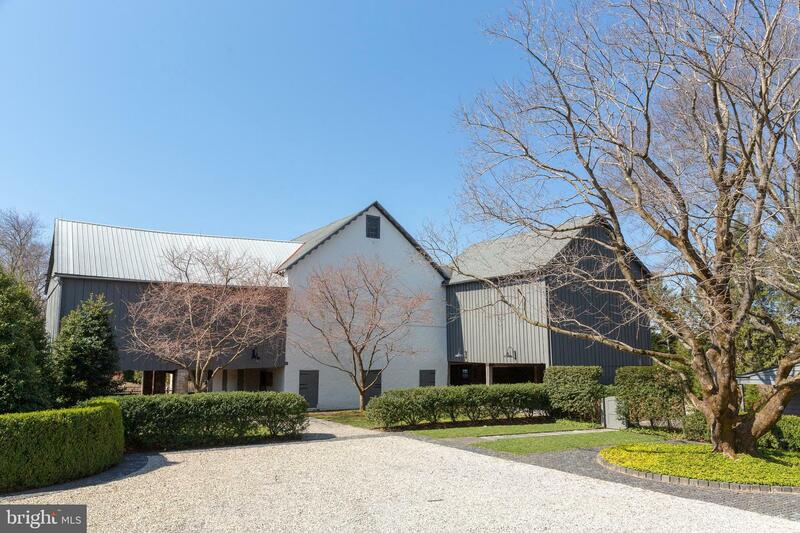 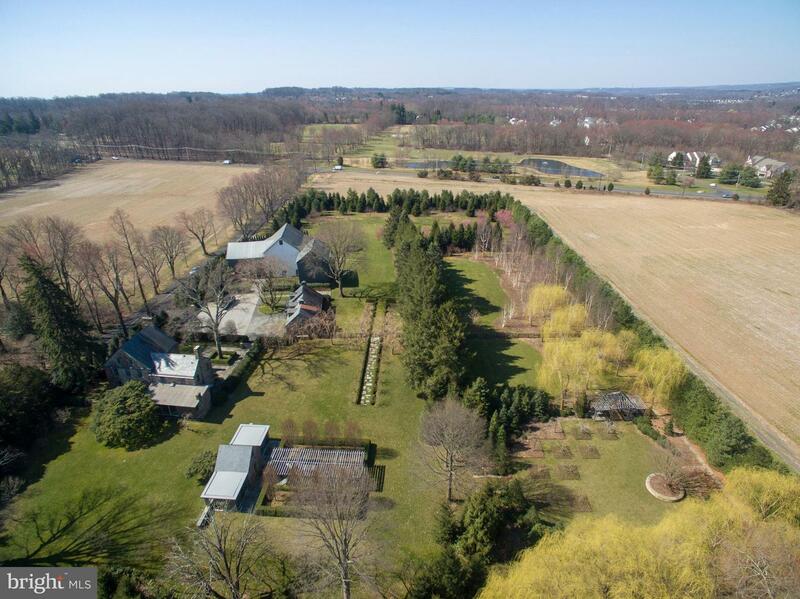 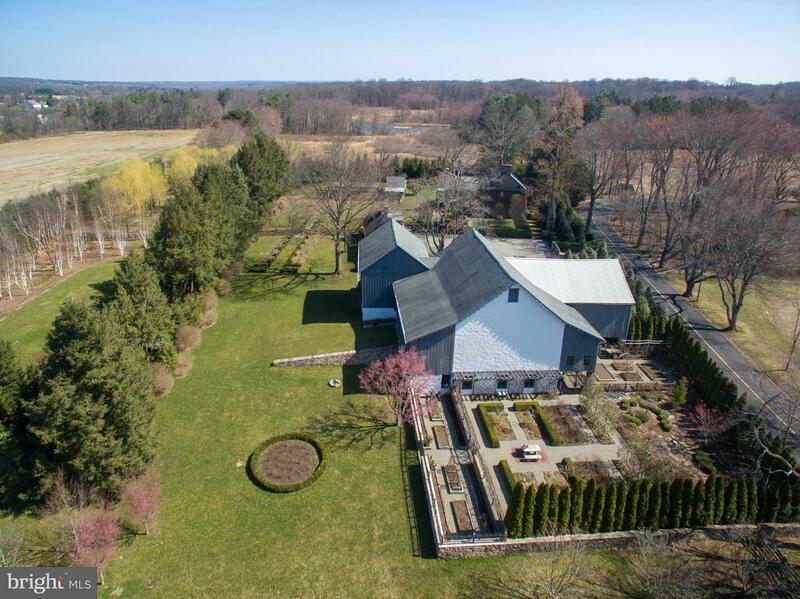 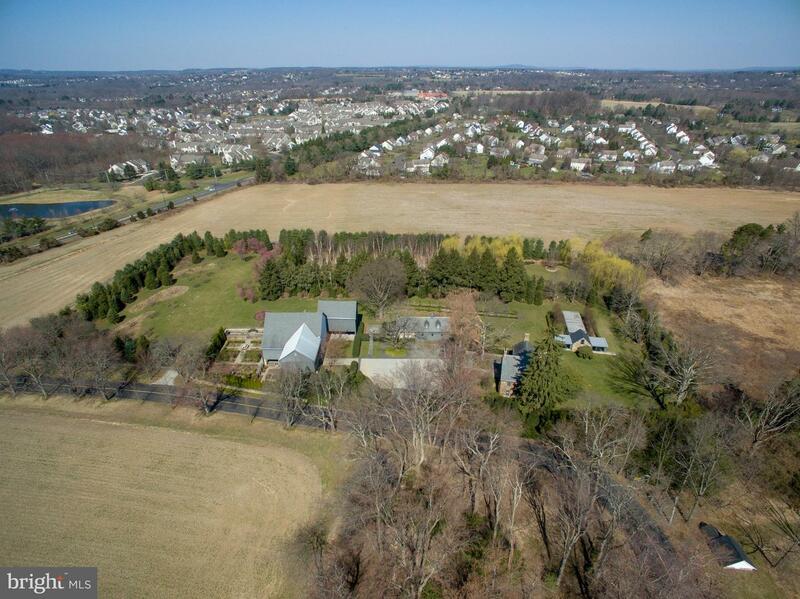 Colts Foot Farm is a rare phenomenon in real estate that only occurs on occasions...and this is one of those times. 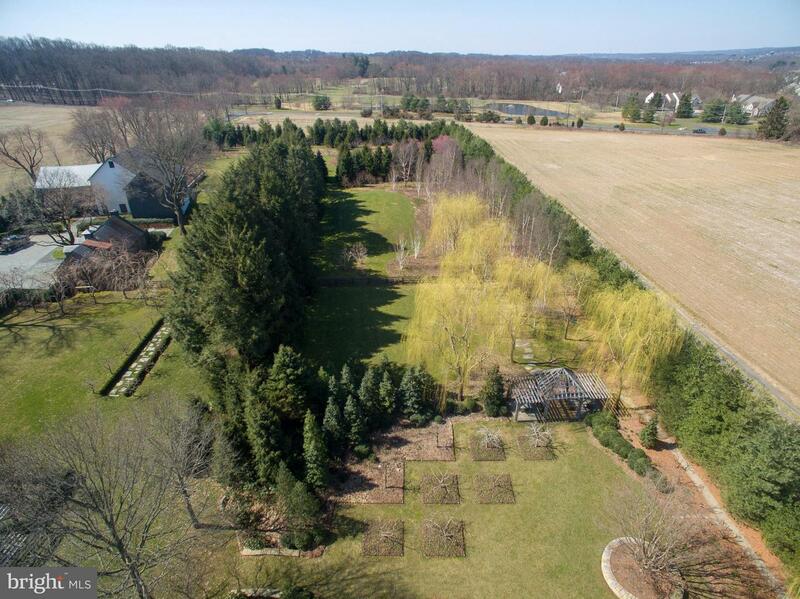 The farm is a 5.6 acre parcel sited so it is surrounded by Natural Lands Trust property assuring the utmost of privacy. 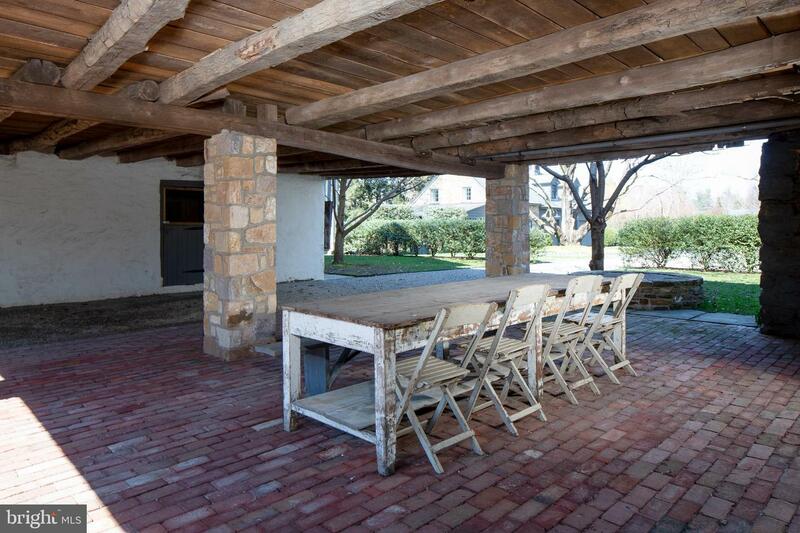 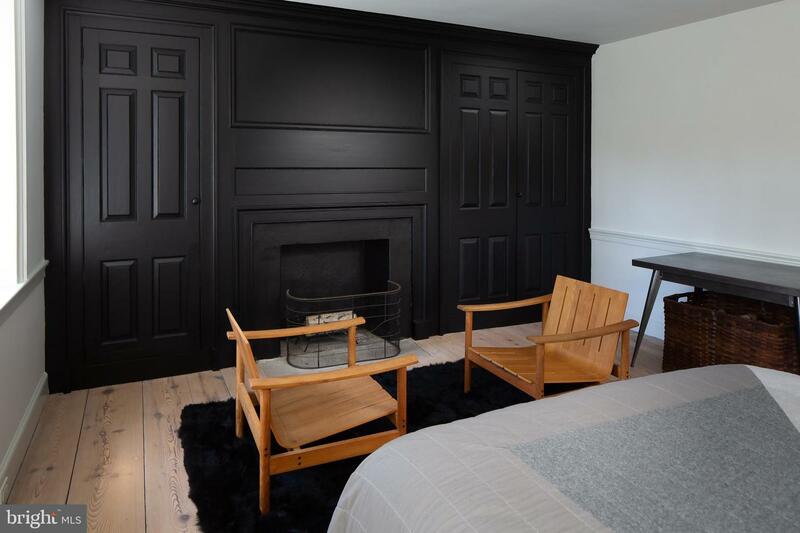 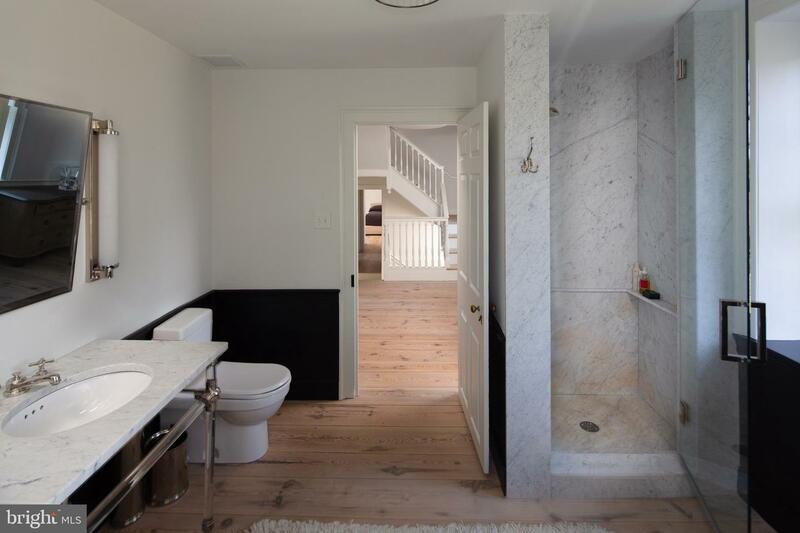 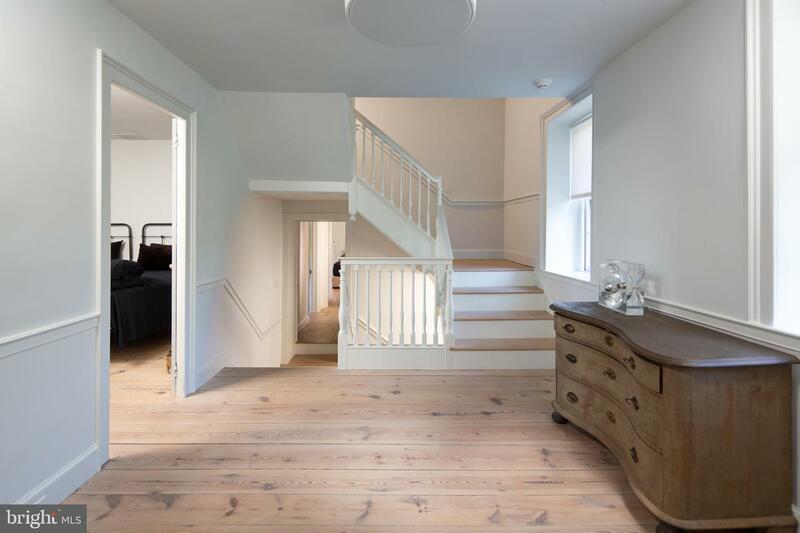 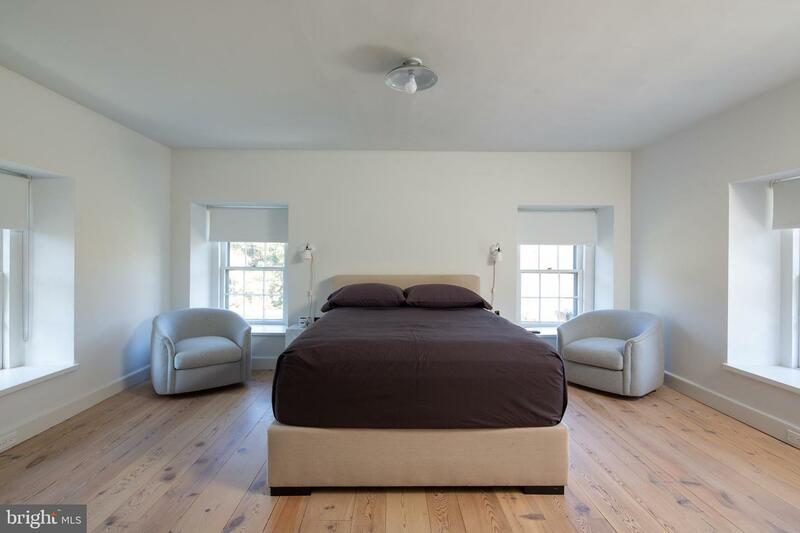 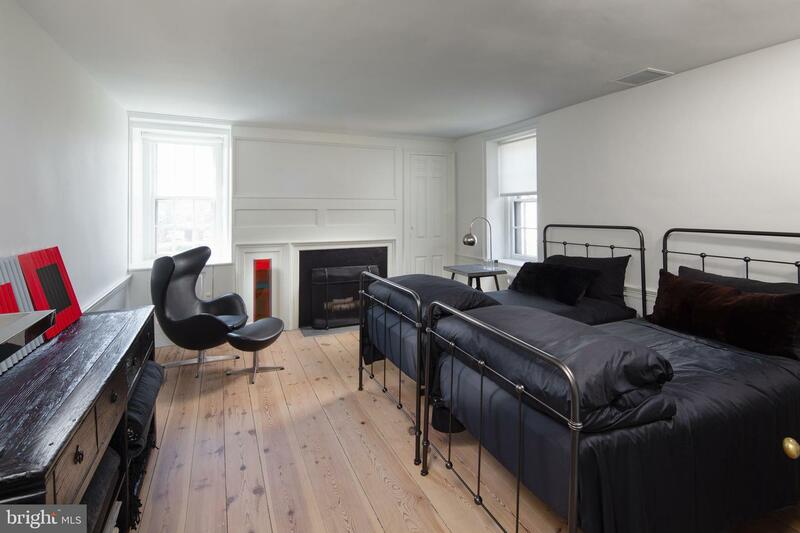 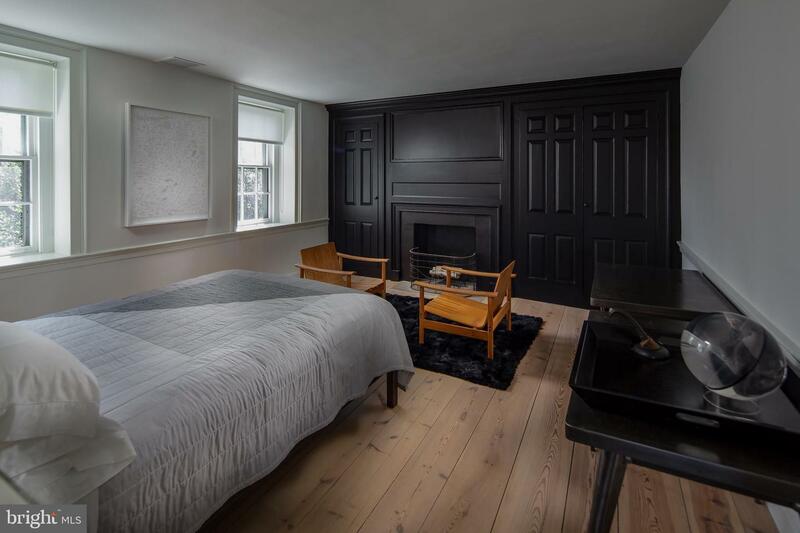 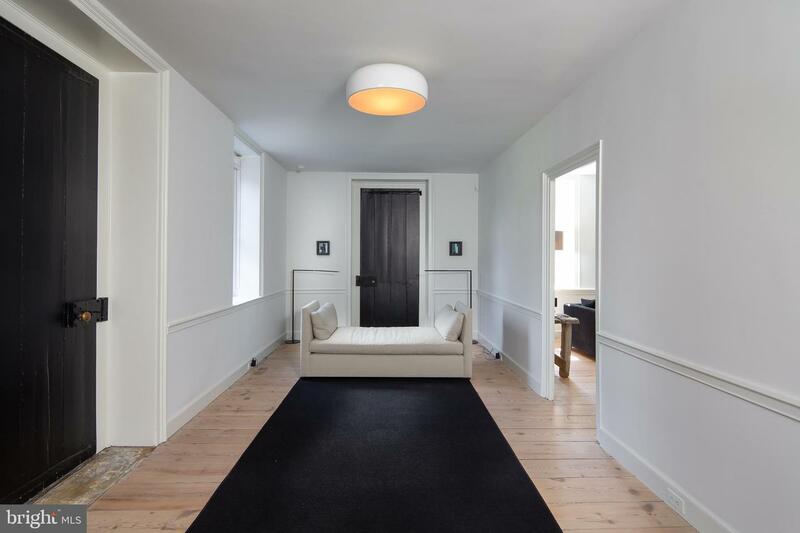 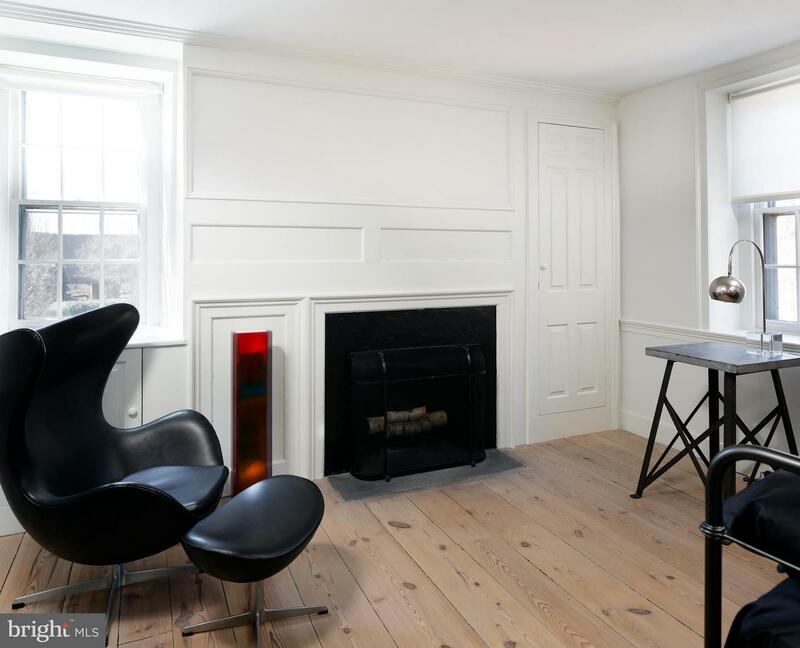 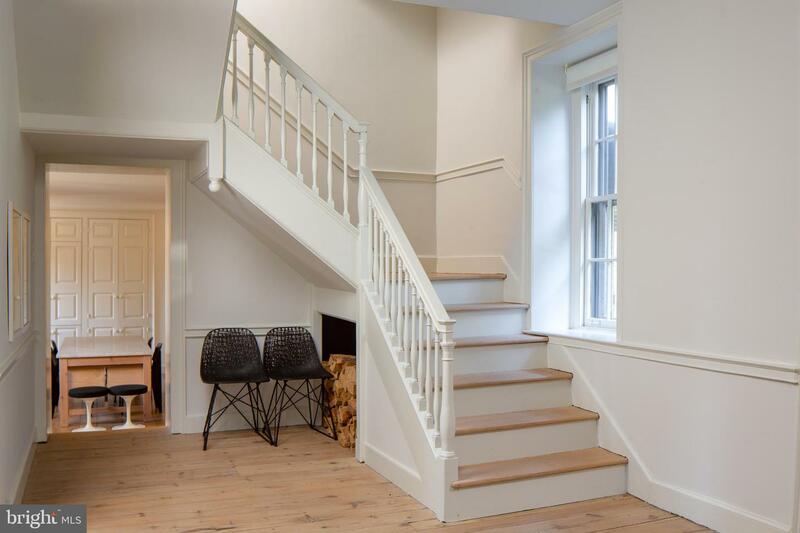 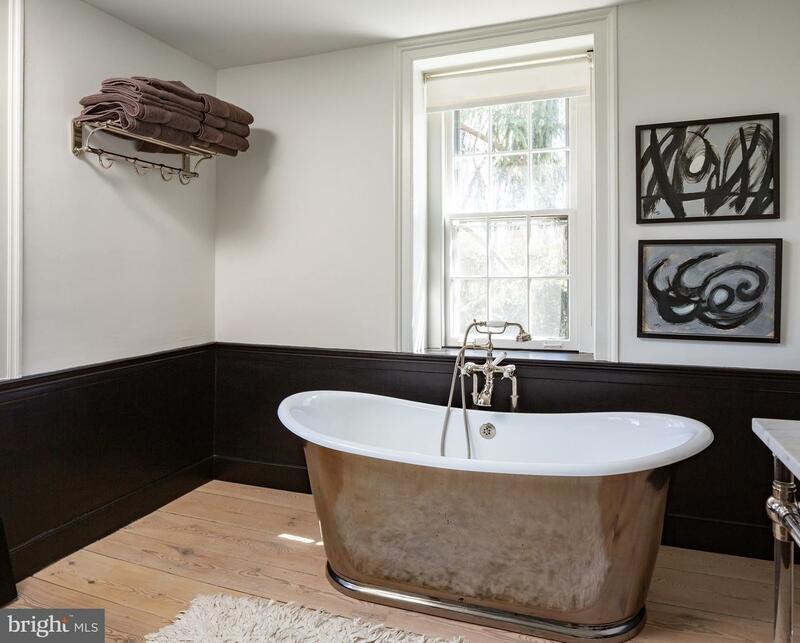 Every aspect of this property has been renovated and/or reconstructed with the finest of materials. 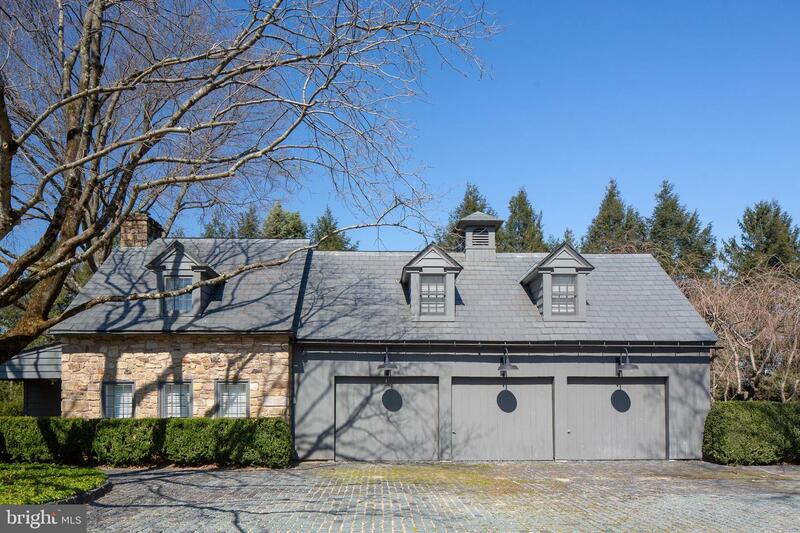 As you pull into the gated auto court, you immediately see a beautifully fully equipped stone carriage house and attached garages. 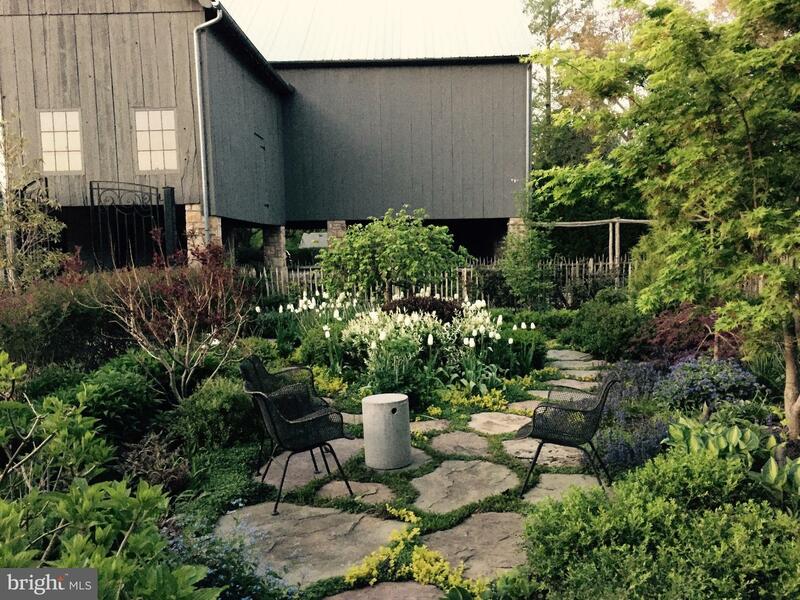 The Cottage has its own patio and looks out at the award winning gardens. 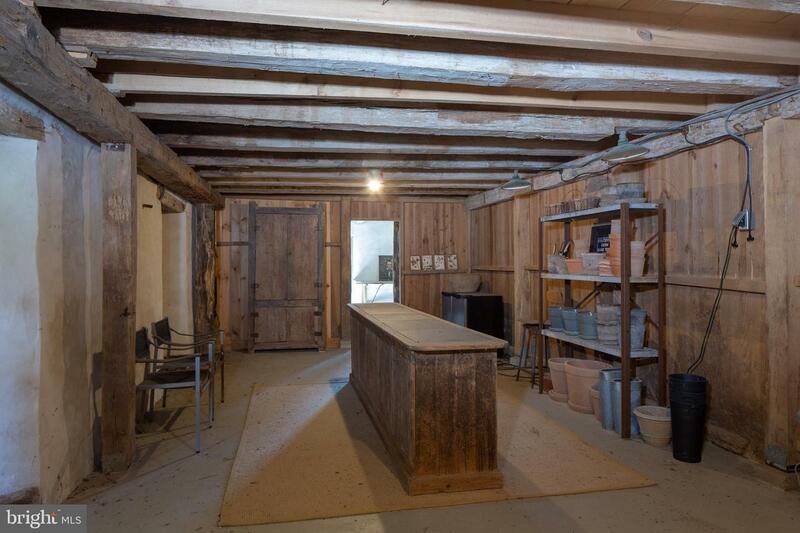 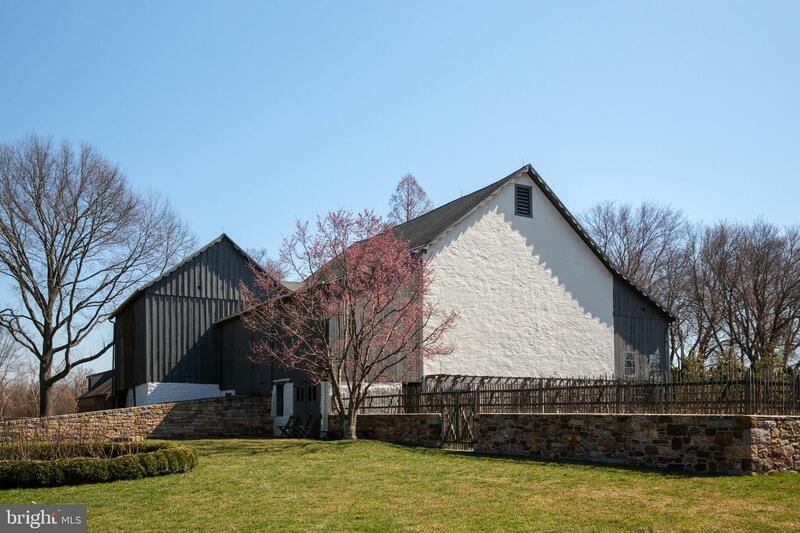 The large two-story bank barn is waiting for the creativity and imagination of the new steward for this property. 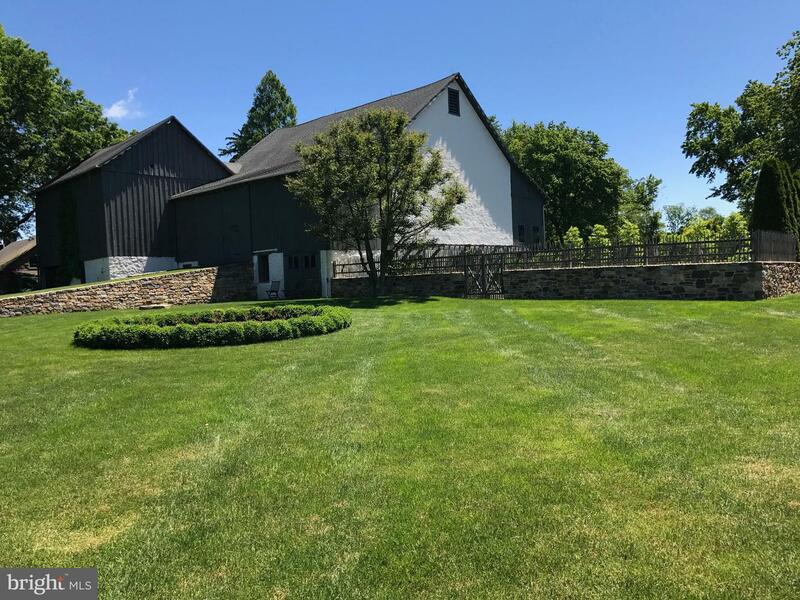 The irrigated vegetable gardens are adjacent to the large patio in front of the barn itself that can allow for al fresco dining, fundraisers, or large scale entertainment. 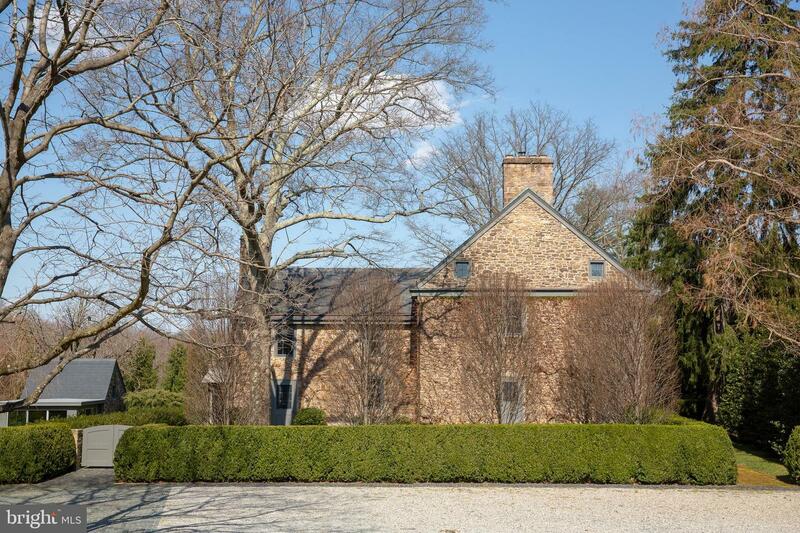 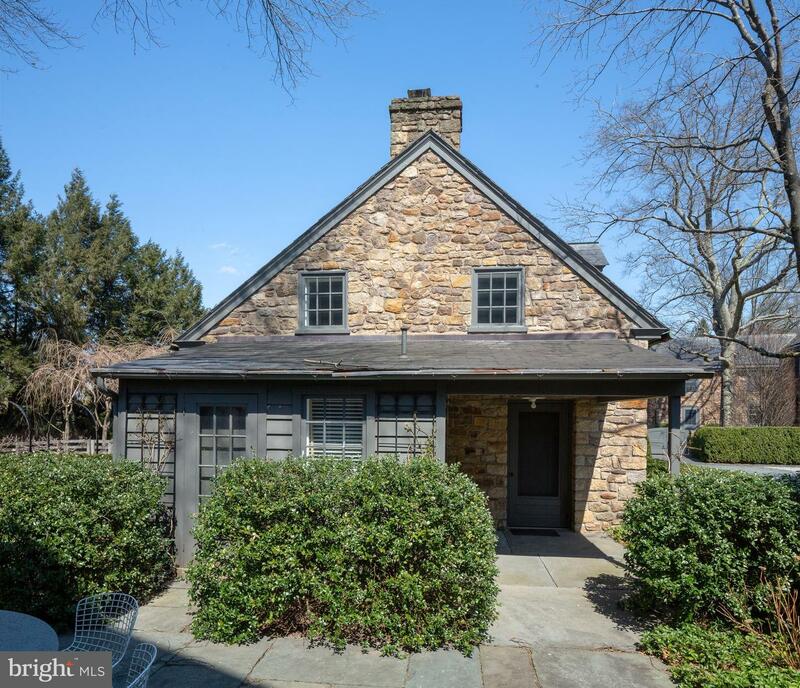 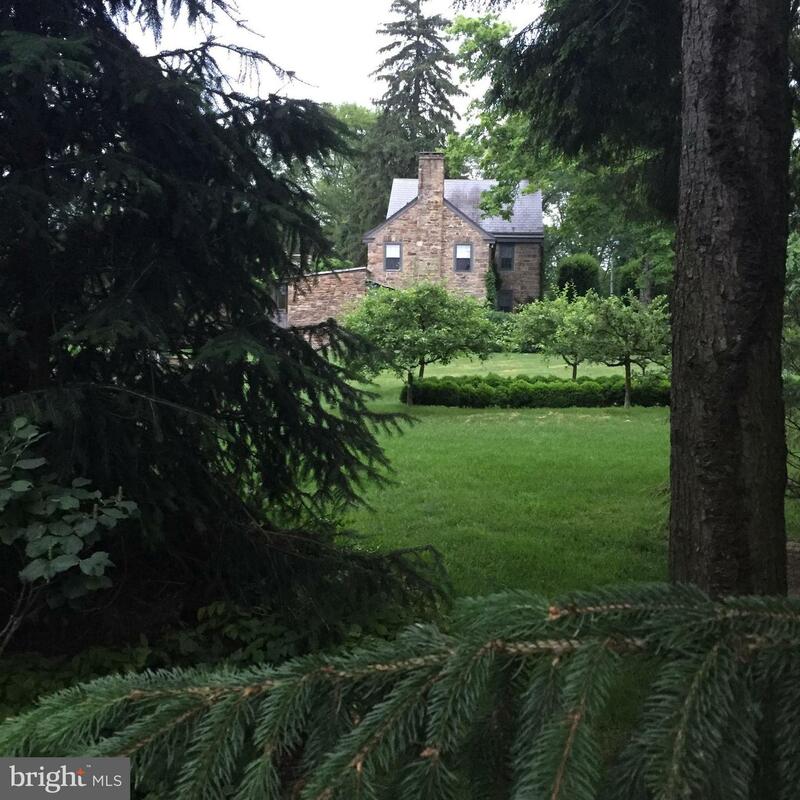 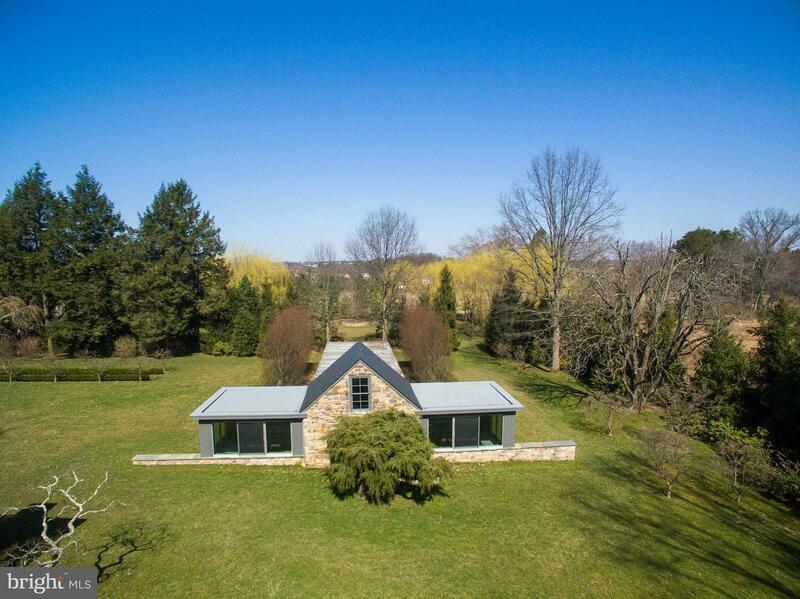 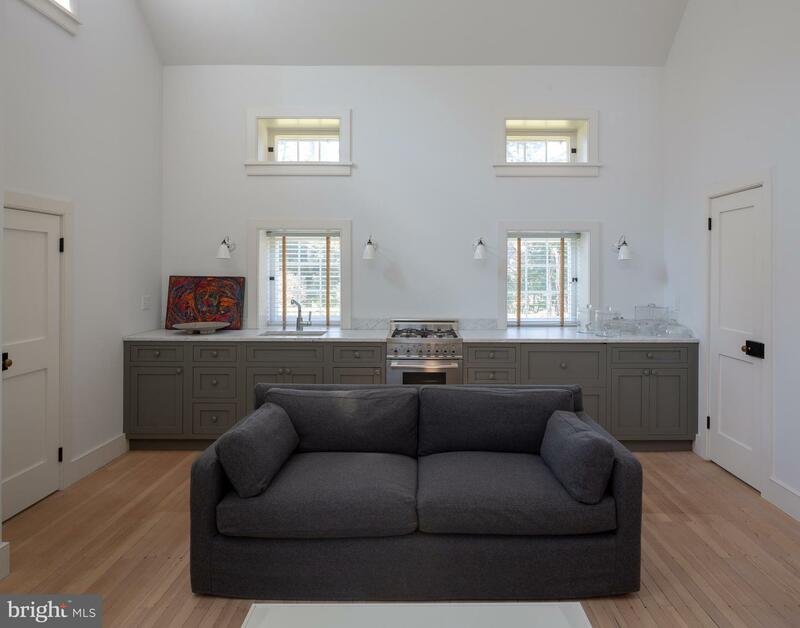 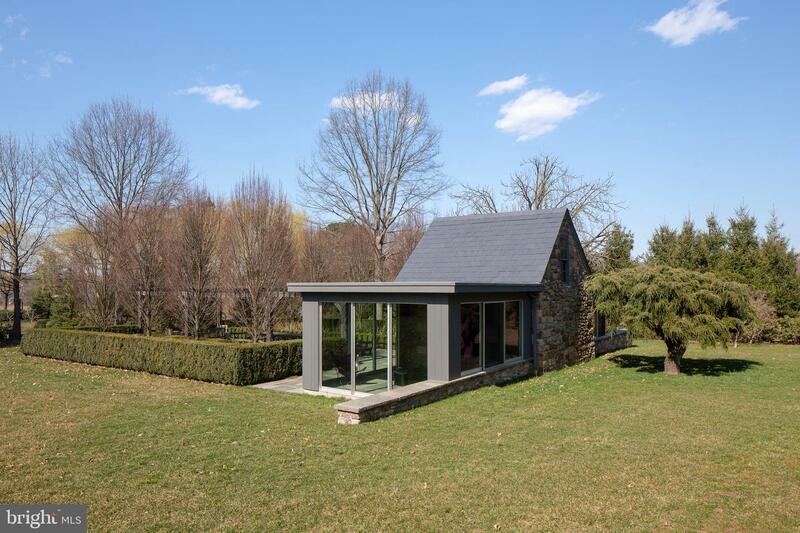 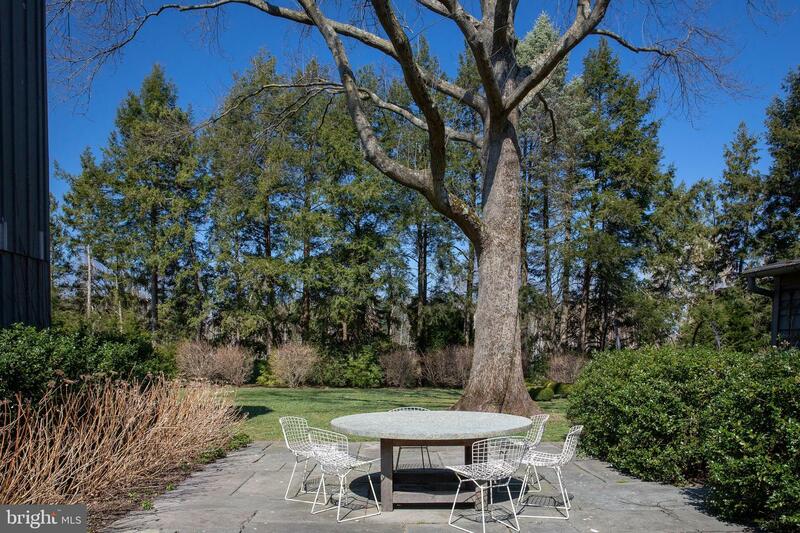 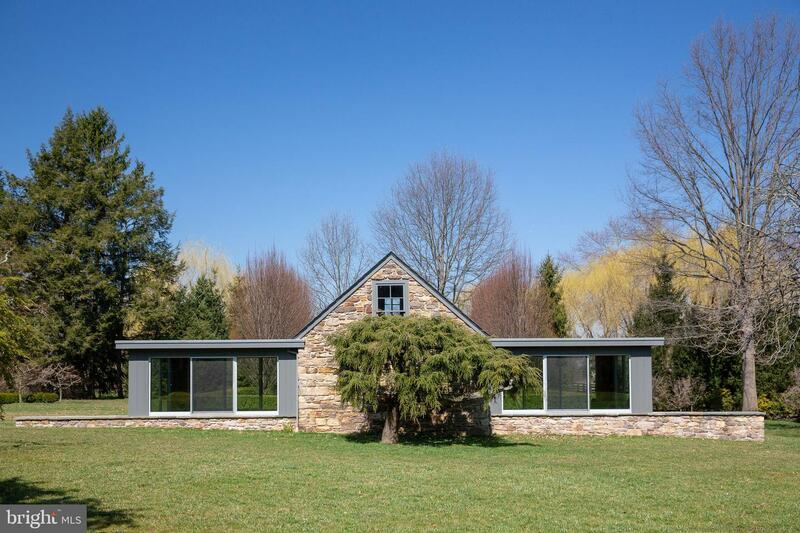 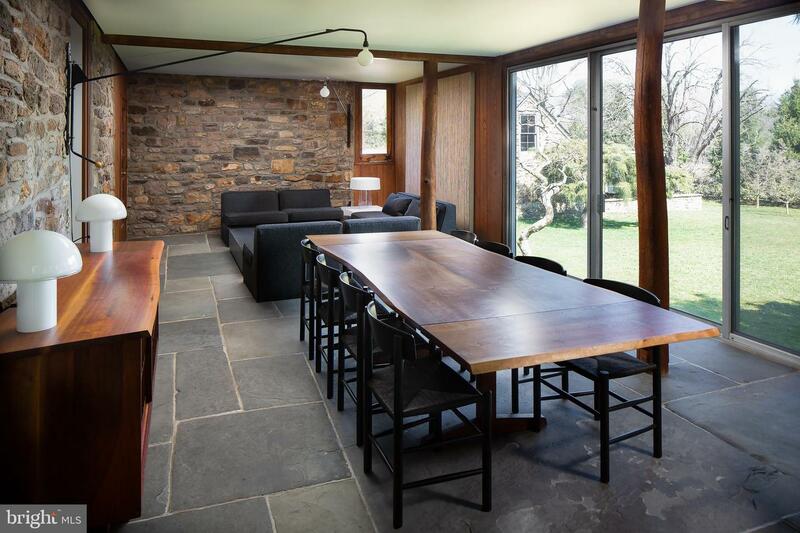 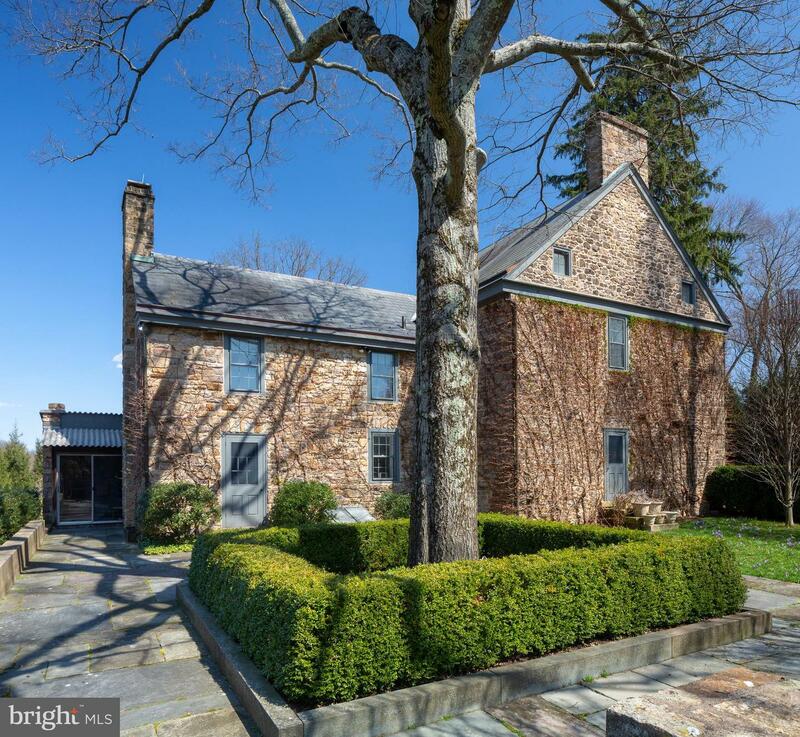 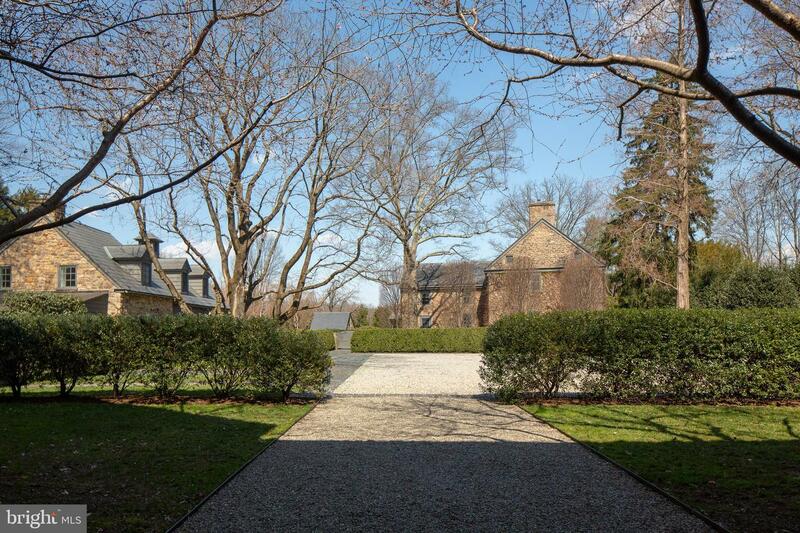 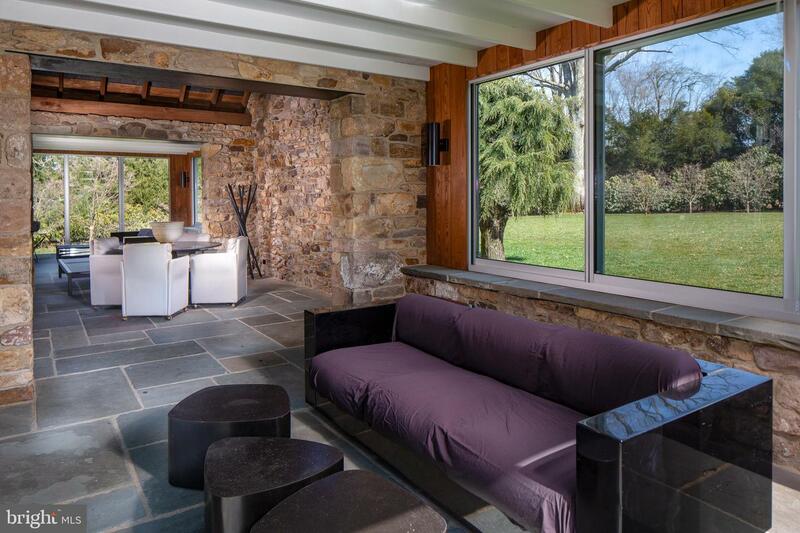 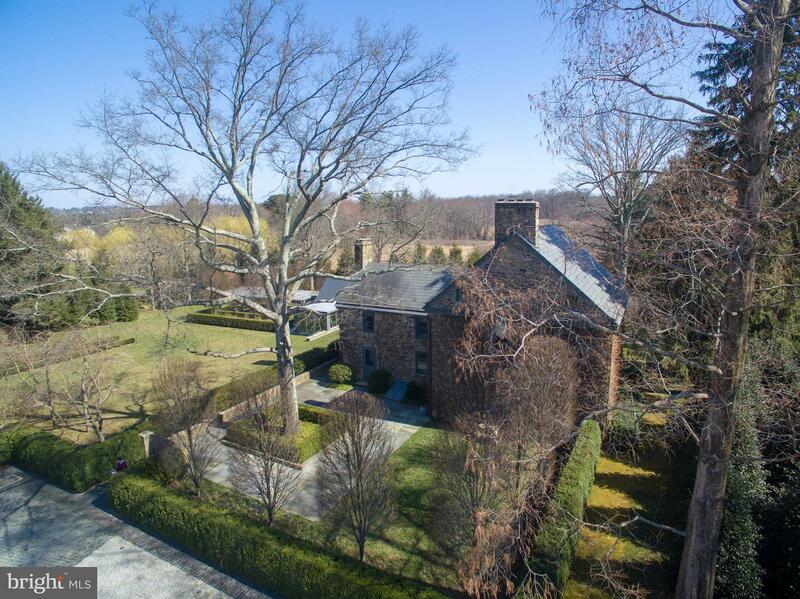 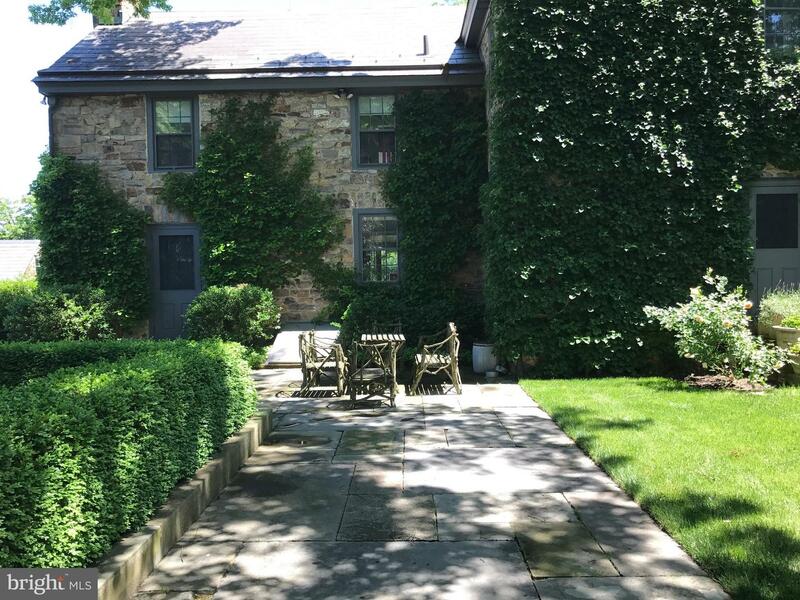 The proper stone manor home, with a radiant heated blue stone patio, is the perfect fusion of classic Bucks County and minimalist sensibility. 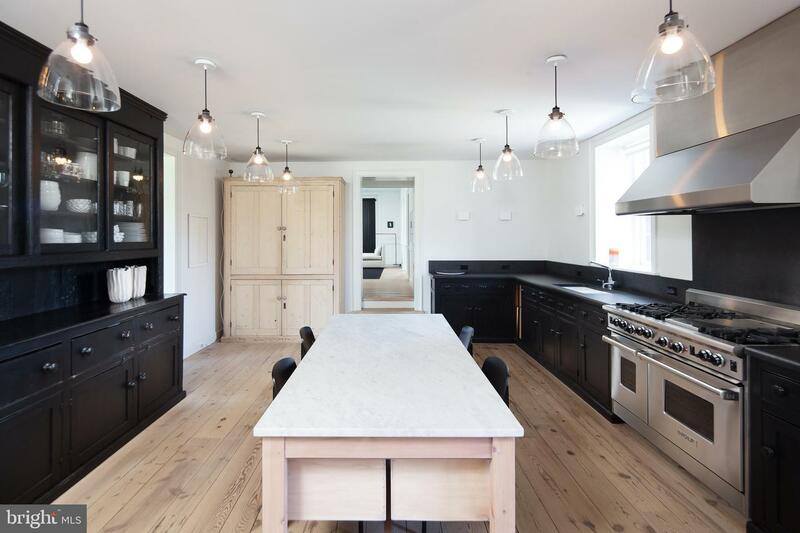 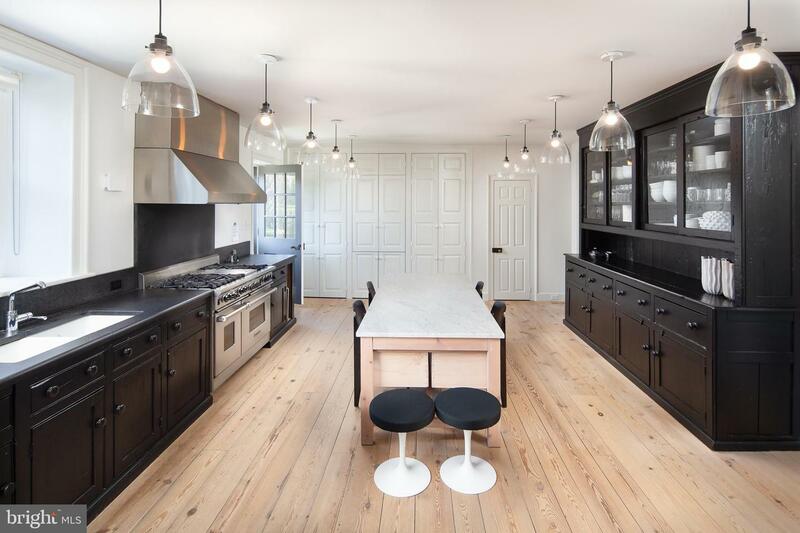 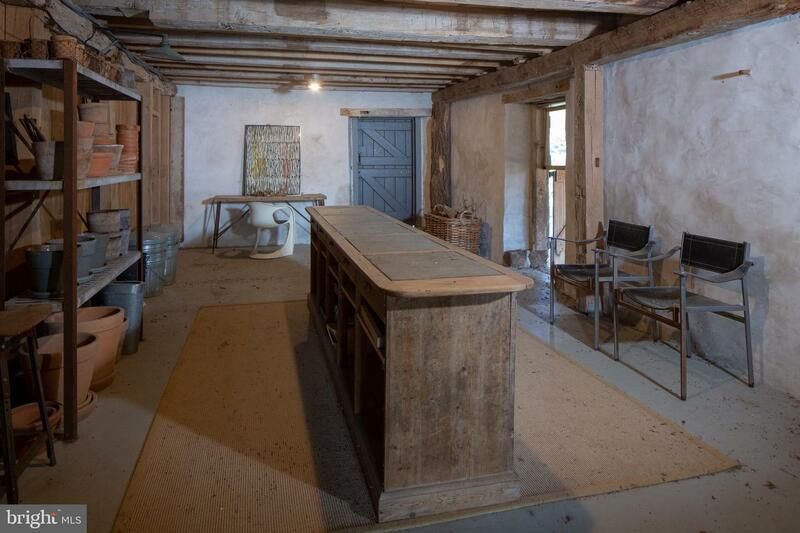 The interior of the home consists of large rooms with high end appliances and cabinetry, mill work and tile work. 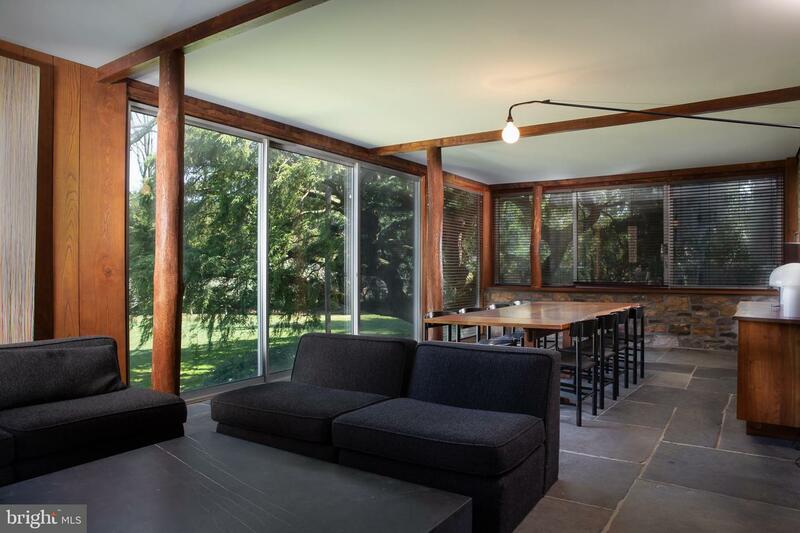 The nucleus of this home is the authentic 1949 Nakashima Room that the world renowned craftsman constructed for his good friend. 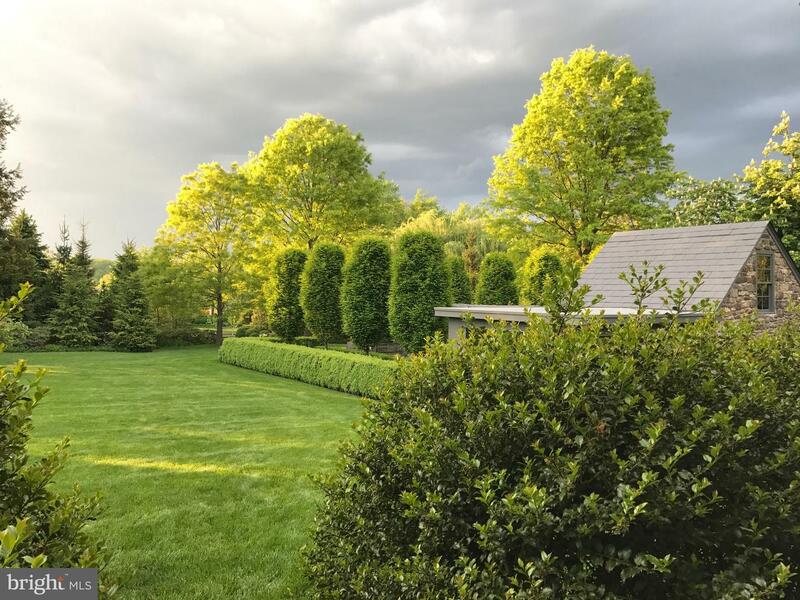 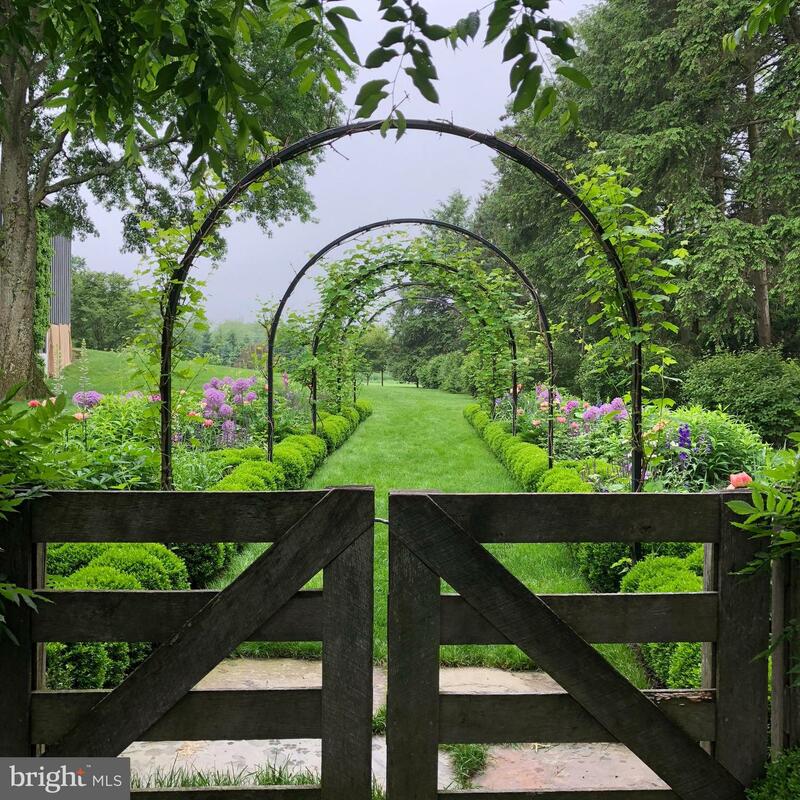 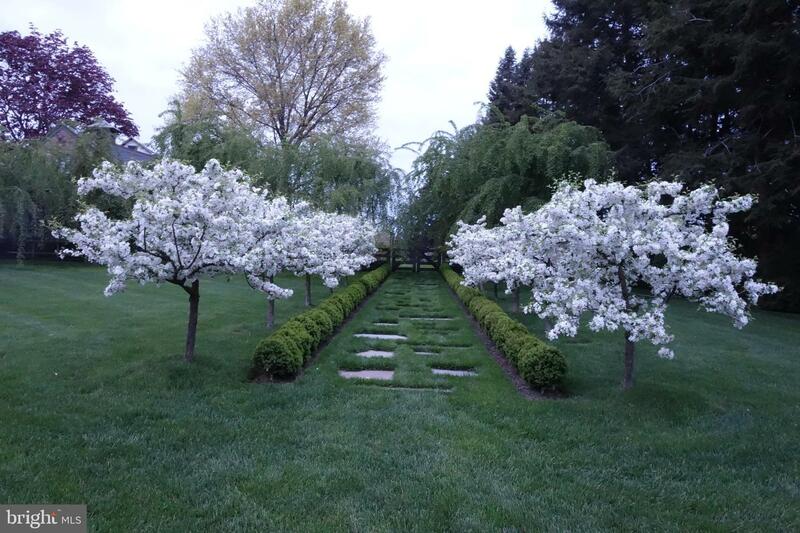 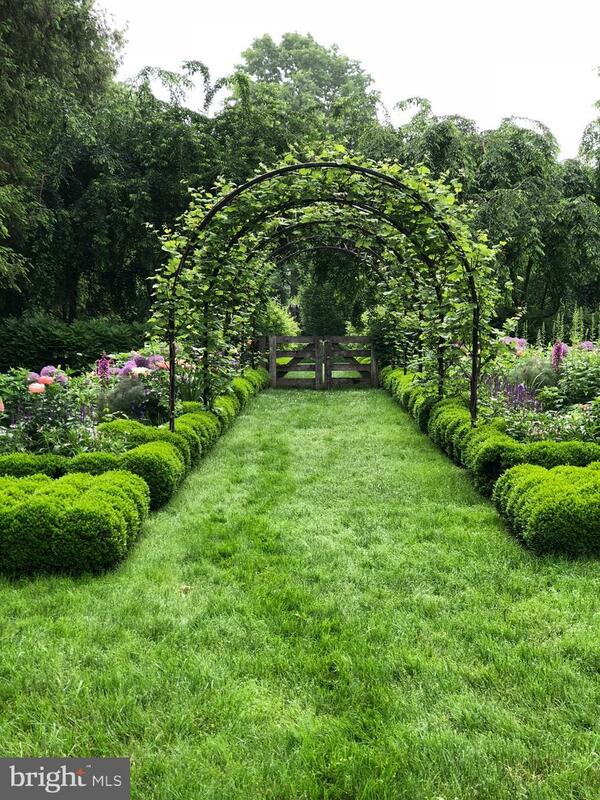 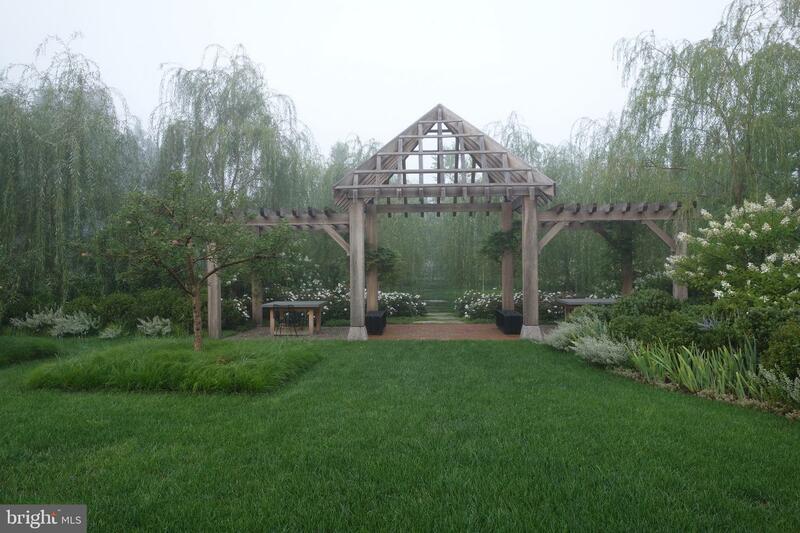 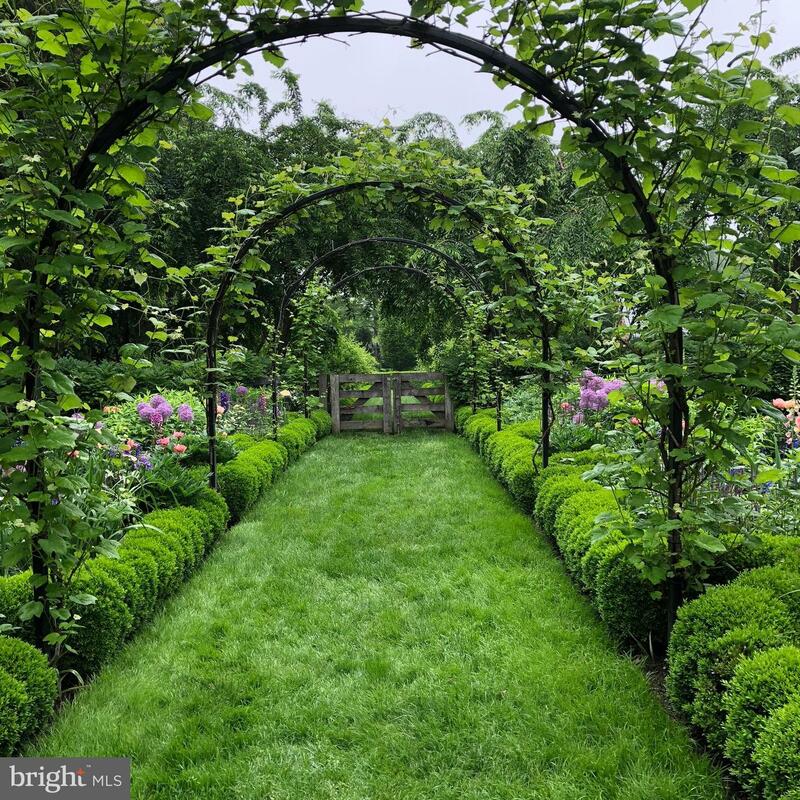 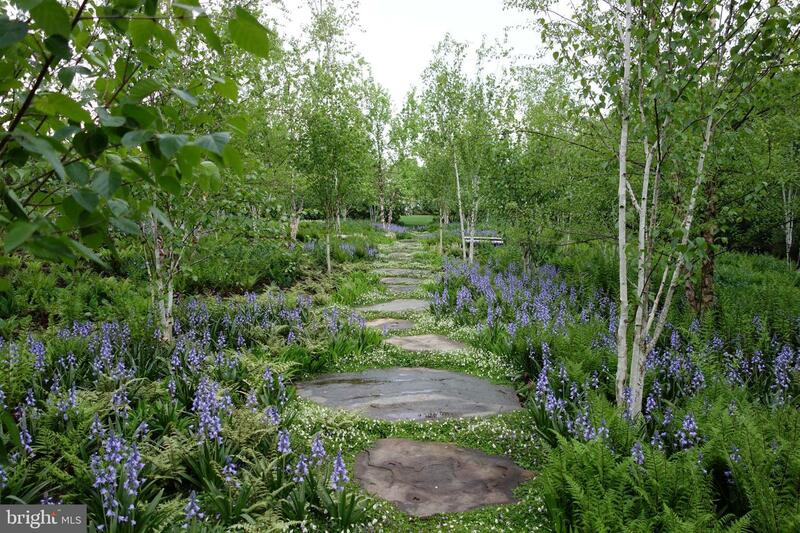 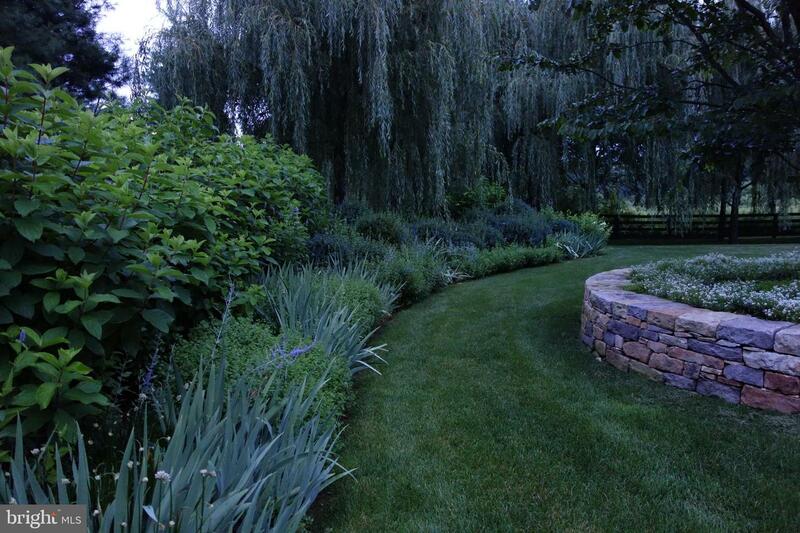 The landscaping consists of mature specimen trees and shrubs, English hedges, a forest of White Pines, meandering stone steps for reflection, various flower beds, a grape vine arbor, a large pergola, and a multitude of annuals too numerous to mention. 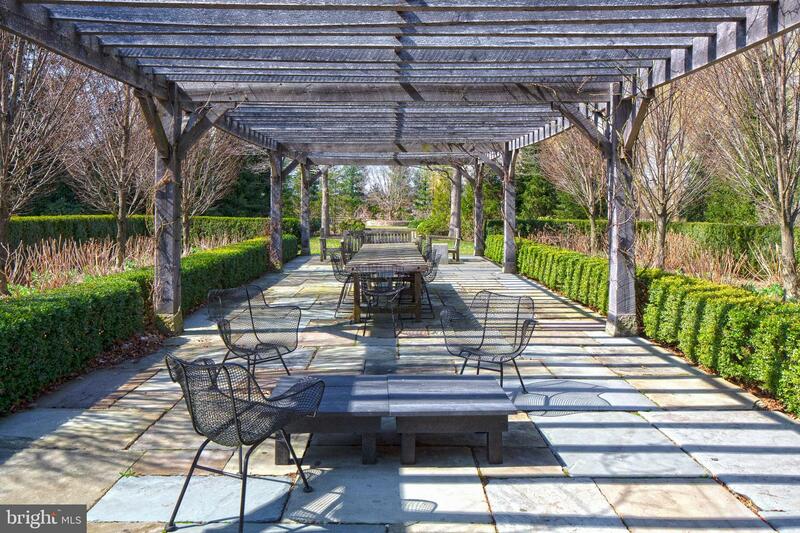 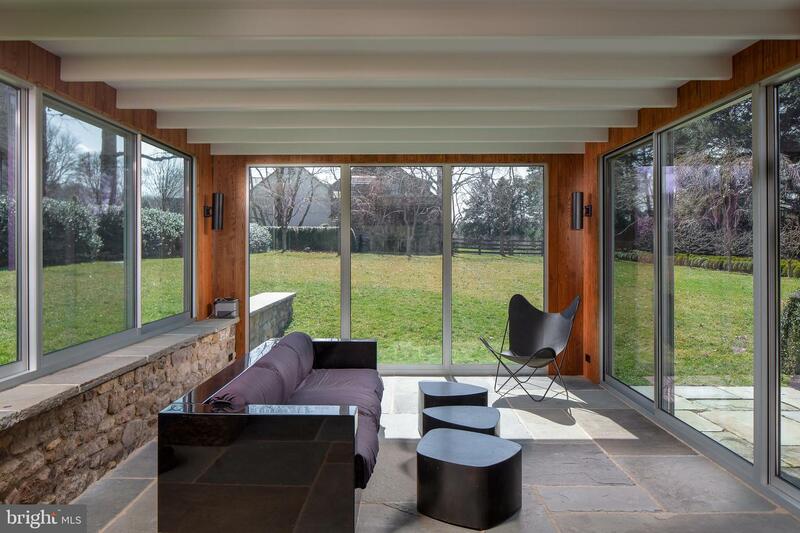 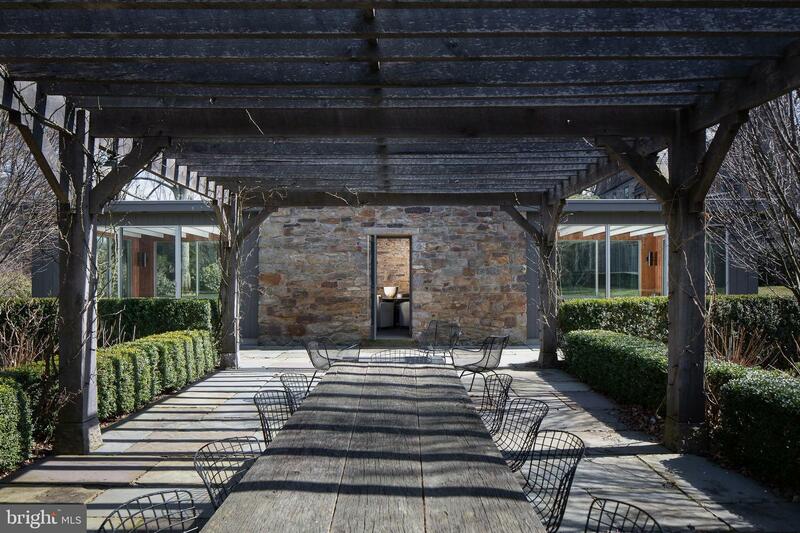 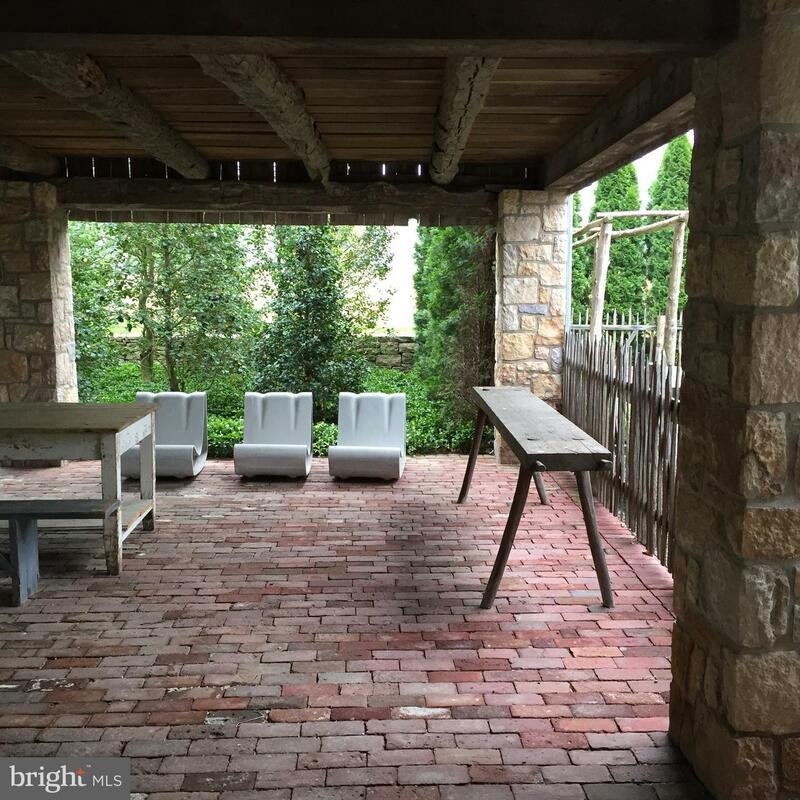 Looking out at the pergola is a stone garden house and symmetrical wings of glass walls that can host the ideal luncheons for friends or relatives.Colts Foot Farm leaves you breathless regardless of the direction you turn. 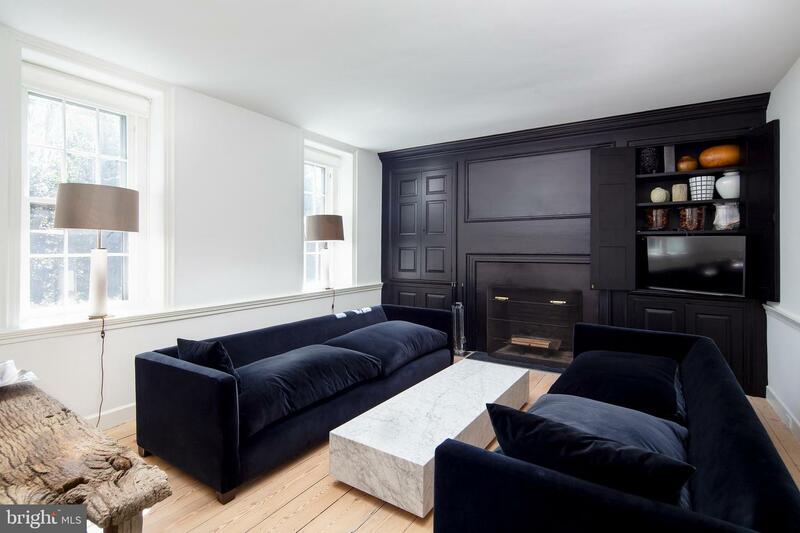 This is a property that provides all of the aesthetic pleasures one needs.... primarily, because it is a property with a soul.